Skin is made of 80% collagen and 4% elastin fiber mesh network and hydration molecules as well. Elastin, a fishnet-like structure, is the protein in the skin which gives skin its flexibility and allows it to stretch and recoil back to its original position. Due to aging, stress, diet, genetics and their resulting damage as well, hormone dysfunction particularly low thyroid, gut inflammation which inflames the entire body , sun damage which inflames the skin and entire body no different than radiation for cancer therapy and internal and external inflammation from all of the above and life – we promote damage, breakdown, decreased fibroblast cell production of skin components and lose percentage-wise continually a great deal more of collagen and elastin never mind hydration( if we are dehydrated and stressed and inflamed) than our challenged bodies, cells and stem cells can produce. Stretch marks in men and women are often associated with rapid growth and/or weight gain or pregnancy usually with low thyroid and as much as possible should try to be PREVENTED, then treated “wholistically” – combining internal support/optimization of function and health – so stretch marks despite any conditions are not produced, and the skin can grow and stretch healthily. 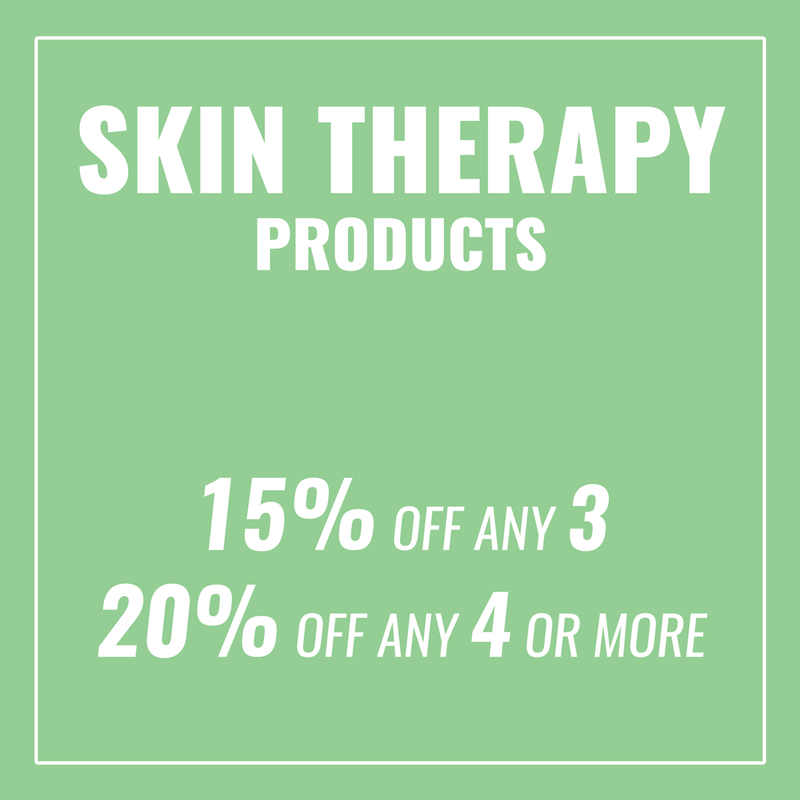 External, scientifically correct and Maximal Strength Skin Therapy skin products, and best technology (if needed), can first with skin and internal products speed the normal healthy stretching and healing process to minimize and attempt to rid stretch mark appearance, and promote resolution completely over time. If you do not optimize the body’s function internally and externally then technology works 50% at best so using technology without optimizing internally and externally is wasting a large percentage of your trust, time and monies. The body has to have the ability and raw materials to manufacture new components in response to stimulation so if the rate of production is reduced or retarded due to toxicities, low thyroid/adrenals, inflammation, which can happen at any age and if the body and skin lack raw materials to make a product much less a good/youthful/healthy product then if you use technology without first correcting, you are making a mistake in how you proceed to achieve best and fastest results. Stretch marks are the result of the skin’s stretching and elasticity and ability to keep up production becoming overwhelmed (or being in a diminished state of functioning due to challenged internal and external health/low thyroid and toxicities hindering it) often through rapid muscle (common in puberty, adolescence and weight building) and/or weight gain (i.e. body fat storage and/or pregnancy). This rapid muscle and weight gain are also a symptom of internal dysfunction-most likely hypothalamus and pituitary dysfunction as this should not normally occur no matter if you are body building or growing in your teens or even if pregnant. Rapid weight gain is a symptom. We can all gain weight if eating poorly, not exercising or genetic challenges such as metabolic syndrome but rapid and with stretch marks is a symptom that you need to address your internal and external health. Stretch marks are tearing and scarring of primarily the epidermis but also can be the dermis to an extent in deeper stretch marks, which is associated with a reddened or purplish color depending on the color of your skin, where the skin is fractured and torn, and where elastin fibers are damaged, so it creates the “look of a scar”. As the dermis is stretched, the outer layer of skin, known as the epidermis, also stretches, thinning it and making it translucent/thinned enough that you can see the reddish-purple dermis. As the skin heals, scar formation occurs as it is unable to heal normally, and it is so deeply torn, the edges of the epidermis pulled apart so they cannot normally rejoin to heal thus causing the stretch mark. The deeper and wider and more purple the stretch mark the more of the depth of the skin is involved and these take more and longer to repair and minimize. Also the skin is usually looser than is normal in these areas. If your skin and internal organs are performing healthily and not inflamed, challenged and compromised in their function, you help prevent and greatly decrease the risk of creating stretch marks at every age and condition. 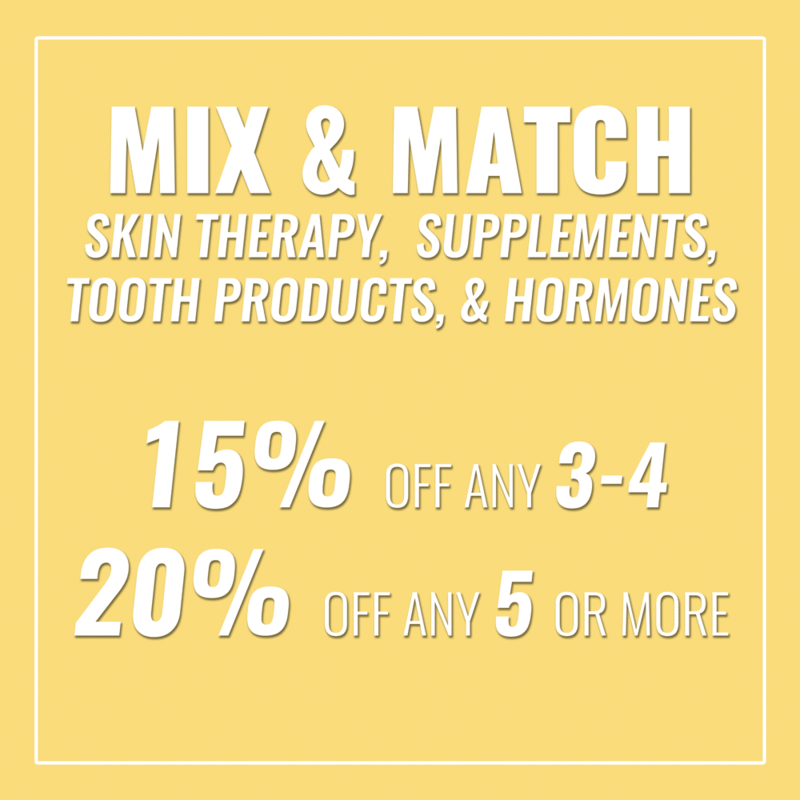 Chemically/chirally correct skin stimulation – internally and externally, Maximal Strength Skin Therapy products, peels and synergistic technology – will dramatically minimize if not completely resolve the stretch marks over time if you follow instructions below. TO help PREVENT STRETCH MARKS—if pregnant USE EMU DERMYL twice a day and VITAMIN C PLUS mixed in the AM and make SURE your thyroid function is normal and take the supplements described as they help PREVENT AND they help optimize repair and exercise as recommended to keep all hormones optimal and eat lots of good quality olive oil and 1.5-2 liters of water per day, as water is essential for skin health AND eat 1 tablespoon of WHOLE GROUND organic flax meal per day (cannot cook) on top of salads or fresh fruit to prevent constipation which also contributes to causing stretch marks and for skin hydration. ALSO, if you are constipated take 2 ounces per day of WHOLE LEAF ORGANIC aloe juice anytime. ALSO very good for skin hydration and preventing constipation. This is your step ONE in therapeutic treatment and will be increased at 3 months as below in order to maximize progressively clearing completely and remember it takes the body one month just to begin responding to giving it what it needs, is missing and wants, then another month to begin to see more resolution then another year for stretch marks to progressively resolve and that is working on them regularly as they do not immediately resolve, they just progressively improve. 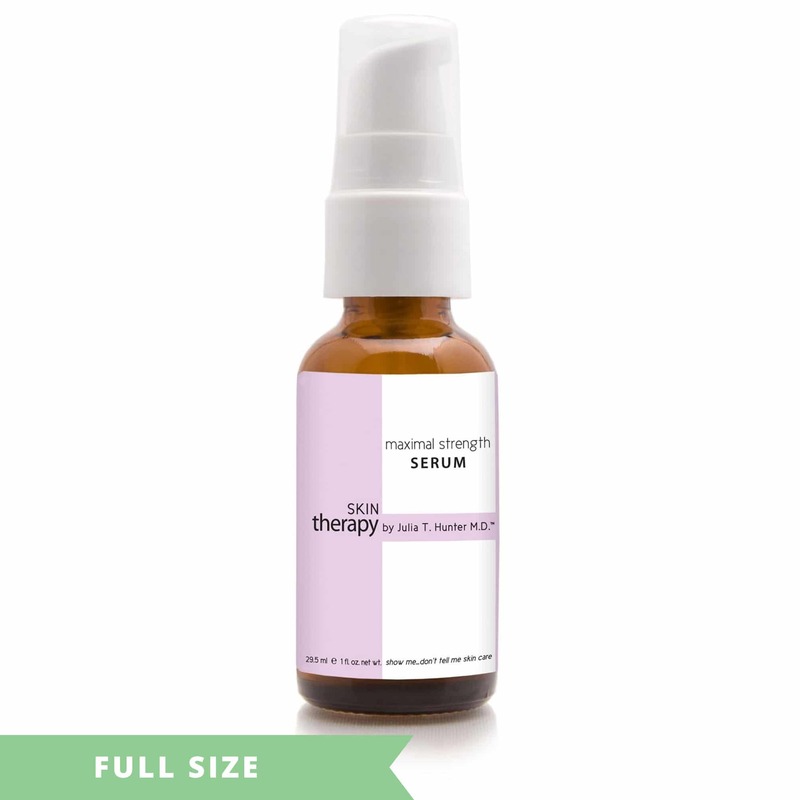 SERUM – Formulated to help provide the most intensified therapy to achieve optimal skin health, repair and renewal. Niacinamide, D-Gamma Tocopherol, L-Cysteine,L-Ergothioneine, L-Glutathione help prevent and repair abnormal pigment such as stretch marks, as well as skin pathology, irritation, rosacea, blemishes, problem skin. 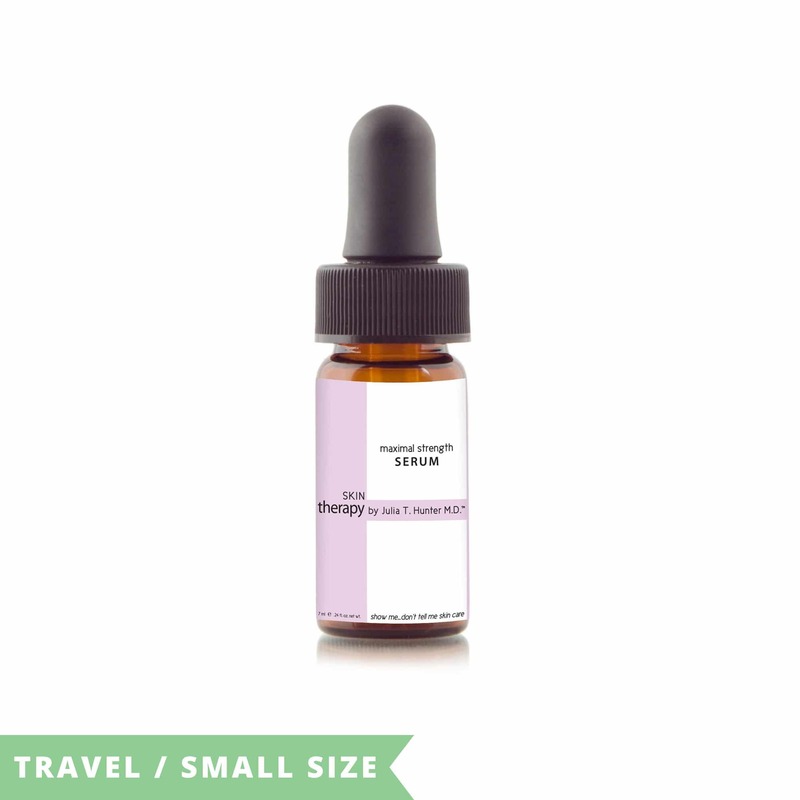 The chirality, quality, chemistry and quantity of ingredients provide maximal obtainable results to help firm, lift, clarify, smooth, clear, protect, prevent, correct and anti-age. This serum helps supply and support the mitochondria – the power plant of cells, collagen and all skin component production. 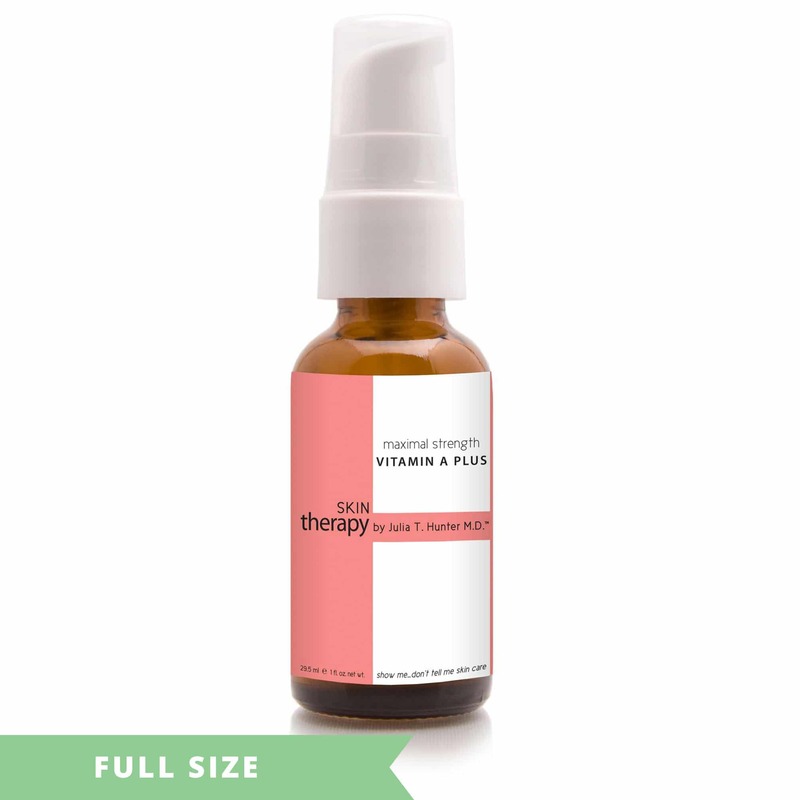 VITAMIN C PLUS – Chiral 95% L-ascorbic acid with strengthening synergistic vitamins C, E, B, A, amino acids, minerals and omegas to help decrease appearance of brown pigment/stretch marks, quickly and maximally relieve symptoms of inflammation and generate maximal healthy cell renewal production. Achieve the maximal visible results possible from the use of this maximally potent formula, which optimizes collagen production and skin cell renewal (youthful tightening and thickening of the skin) increases maximally- clarity, symptoms of rosacea, sensitive skin, blemishes and their scarring, undesired veins, ingrown beard hair occurrence, and abnormal skin cells’ exfoliation. INSTRUCTIONS: Mix top of fingertip-size amount-( HEAPING bowl of the spoon included with the product is enough for abdomen or both buttocks or both arms or both inner OR outer thighs) in palm with 3 drops of water, SERUM and EMUDERMYL in the AM. CALM AND REPAIR placed over if going into the sun. Use once per day in the AM. 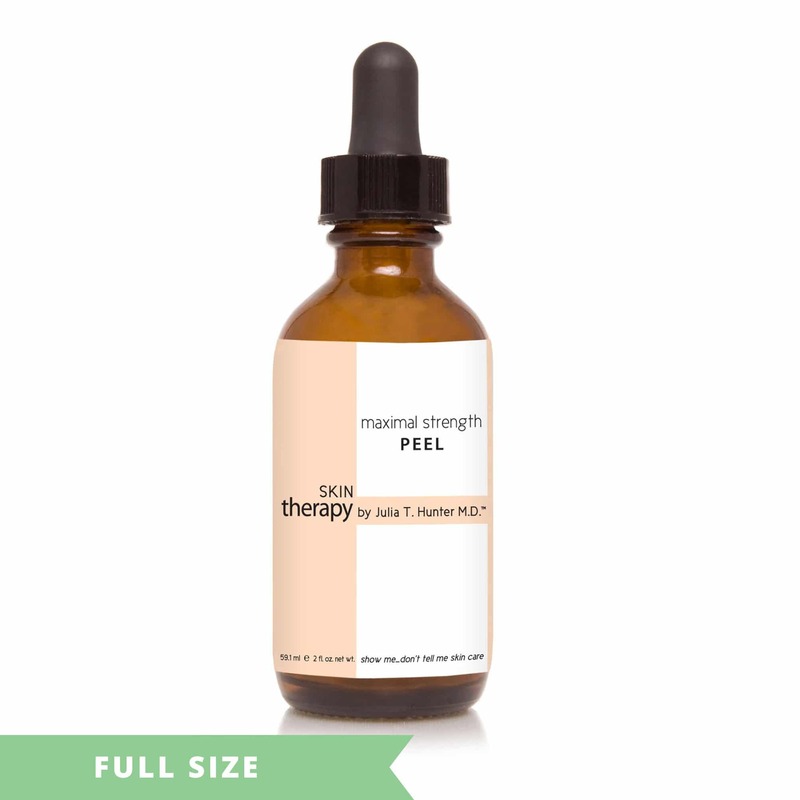 PEEL – scientifically correct, maximally healthily exfoliating, synergistic L-Lactic, Mandelic, Malic acids with Pumpkin Ferment help suppress, brighten and even pigmentation, rid blemishes, scarring, wrinkles, laxity, fine lines, stretch marks, risk of abnormal growths, OPTIMALLY restorative and rejuvenating. CORRECT exfoliation results in tighter, luminous skin with less wrinkles, cellulite, lines; clock slowing and reversing. 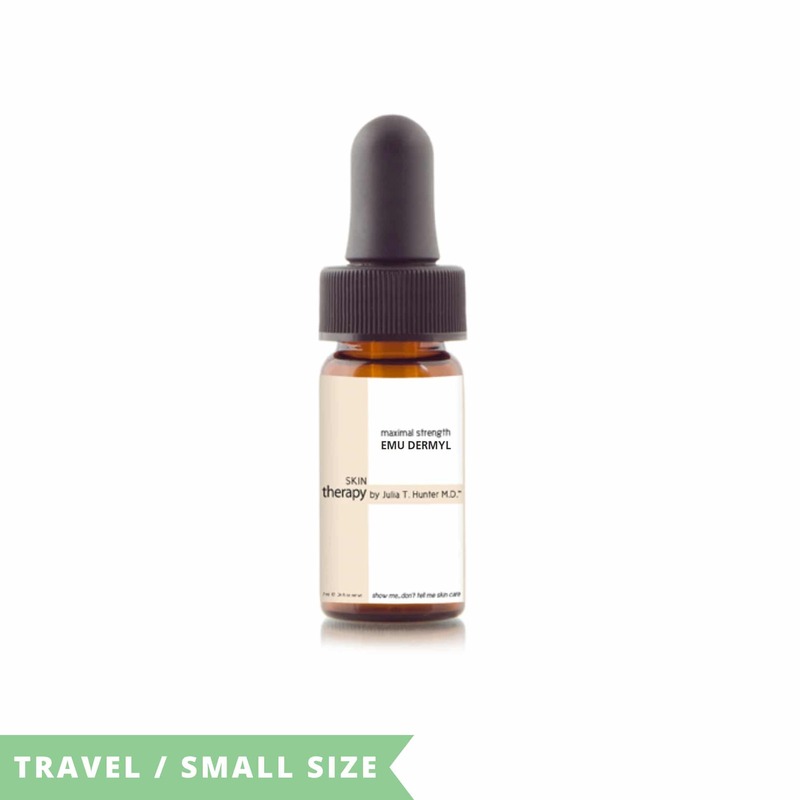 Physician-strength blemish, scarring, pore, pigment, growth, clearing and volumizing, clarity and elasticity optimizing. Niacinamide, Phytic Acid, D-Beta Carotene, antioxidants, polyphenol rich fruit extracts to help maximally treat, repair, correct, anti-age. Anti-glycating, free radical quenching, super antioxidant Carnosine to help prevent loss of and REPAIR elasticity, wrinkling. INSTRUCTIONS: Apply in EVENING only, first product after cleansing. 2 dropperfuls is enough to start with for the thin film for your abdomen or one dropperfull for each buttock OR each arm OR each inner OR outer thigh in your palm. Do not mix with ANYTHING UNLESS you CAN mix with VITAMIN C PLUS IF the stretch marks are QUITE bad and using VITAMIN C PLUS can help the stretch marks repair and improve faster if using twice a day. Apply thin layer (2 dropperFULLS) to affected area nightly for 3 weeks. If no skin irritation, increase every 3 weeks to 3 dropperfulls then to 4 dropperfulls nightly which is the max dose per area. You can only treat 2 areas of the body at the same time meaning both buttocks AND Abdomen or BOTH inner and outer thighs and arms Wait 2 minutes after applying, then can apply evening products OVER, including Retin A, bio-identical hormones (if using). Use on body brown spots, stretch marks, scars, growths, nightly if no irritation ideally. VITAMIN A PLUS – Containing potent ingredients including niacinamide topically to help the appearance of stretch marks and brown pigmentation. In addition, it optimally increases collagen and cell component production, relieves itching, irritation, oiliness, eczema, psoriasis, seborrhea, abnormal pigmentation, helps prevent the risk of skin cancers. It is FULL of L-Glutathione – the MASTER crucial, anti-inflammatory and detoxifying antioxidant, along with Indian Ginseng to help decrease skin irritation, collagenases which break down collagen, helps maintain skin elasticity and elastin production and all skin components and proteins, superlative anti-oxidant. These skin-perfecting ingredients help strengthen and invigorate function of the skin cells by participating in optimal stimulation of collagen production and all skin components, especially with blemished, stretch marked, abnormally pigmented, aging, sun damaged, undesired new growths on and of the skin. 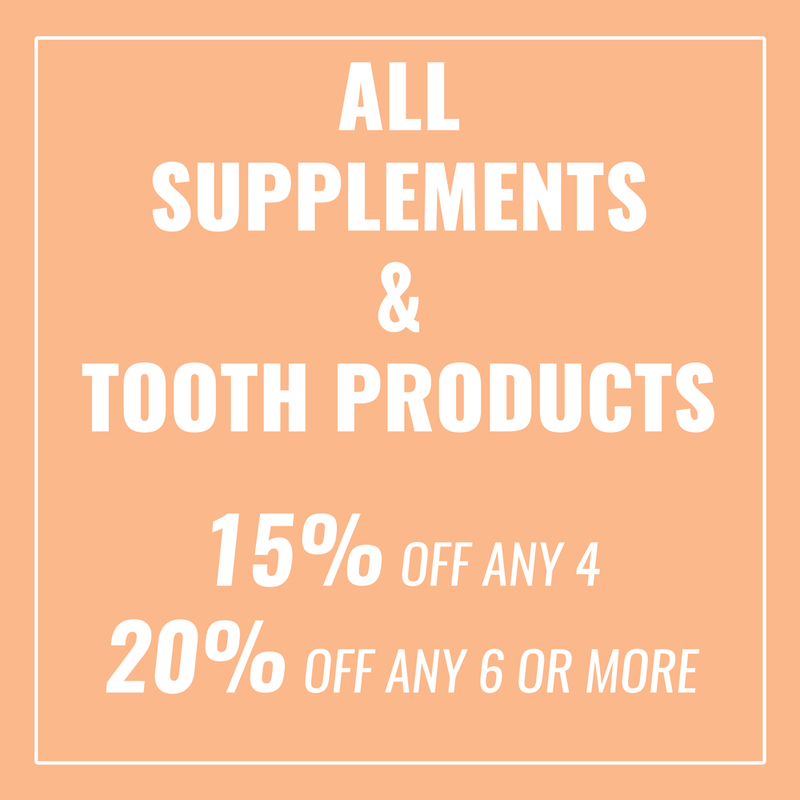 Helps strengthen, restore, repair and rejuvenate – optimally youthful restoration. Begin using VITAMIN A PLUS every other evening ONLY for 2 weeks then EVERY evening on TOP of PEEL if using that night( which is allowed to dry for 2 minutes) as retinoids will exponentially help all other of the skin products utilized for stretch mark resolution be more successful and more quickly. INSTRUCTIONS: Use ONLY in evening after cleaning the area with 1 squirt of CLEANSER then toweling the area off, 4 squirts are enough for thin layer needed for both inner OR outer thighs, the abdomen OR both buttocks OR both arms. If using PEEL, wait 2 minutes AFTER applying PEEL for it to dry then apply VITAMIN A PLUS mixed in palm with EMU DERMYL 5-7 drops. Can use under Retin A and if you have RETIN-A (and preferably MY- ONLY nontoxic one on the market made by your compounding pharmacist using my Ingredient Optimizer Cream and see instructions for how the compounding pharmacist must compound) then after 1 month using PEEL and VITAMIN A PLUS NIGHTLY with no irritation of the skin of the stretch mark area then add the RETIN-A on top-last product to apply every 3rd night if your skin will tolerate with no irritation but every 4-5 nights if not and be CAREFUL of sun and but should be 1% RETIN -A which is a prescription you must obtain from your Physician . ALL of this will along with the other skin products defined here MAXIMALLY stimulate your skin of the areas you are using these on, to repair and progressively rid the stretch marks in length, depth and visibility. Stretch marks in today’s world of scientifically correct options can be essentially made to disappear but takes time and effort and correct treatment. MAXIMALLY moisturizing the entire body’s skin, yet no oil remains on the surface of the skin only a more youthful and healthier, volumized, dewy and restored. IF you have much oil in your skin on the surface then you use instead WRINKLE FILLER mixed with SERUM instead of EMU DERMYL, but you can add a drop or two in the AM and PM with these other products if more moisturization required due to the amount of inflammation with significant rosacea and irritation. NEODERMYL is a MAXIMAL STRENGTH ingredient in MAXIMAL strength concentrations to OPTIMIZE collagen and elastin production by the fibroblasts for most quickly combatting the inflammation of Rosacea. 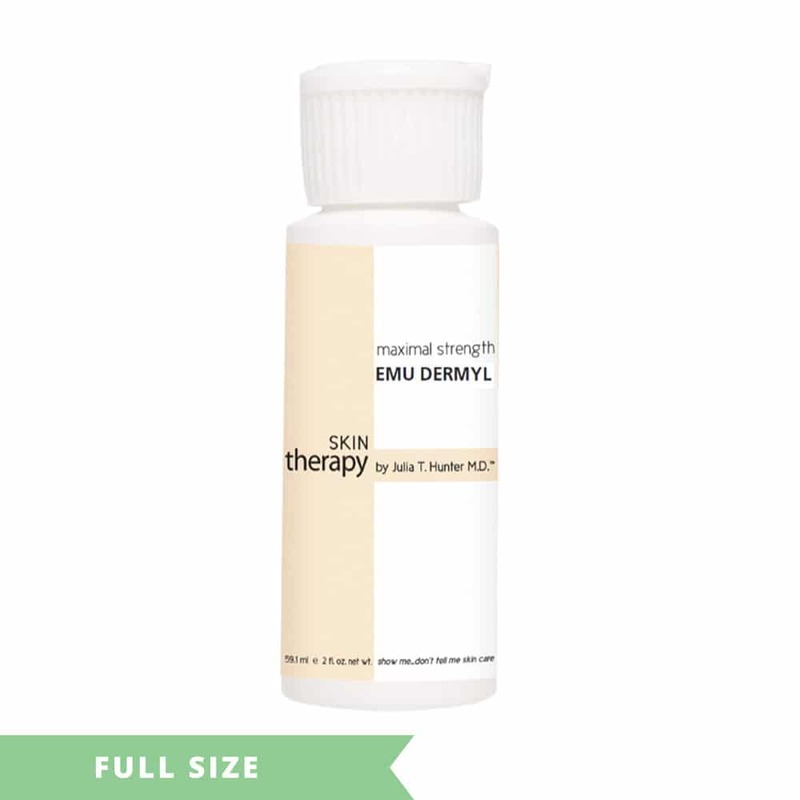 The Aborigines taught, and my medical practice again confirms Emu Oil’s superlative chemistry to penetrate the skin, therefore, its BEST of all known choices, immediate moisturizing, skin soothing, calming and restoring characteristics. Combined with Neodermyl® its therapies and visible results are incomparable! INSTRUCTIONS: Shake WELL especially when cold. 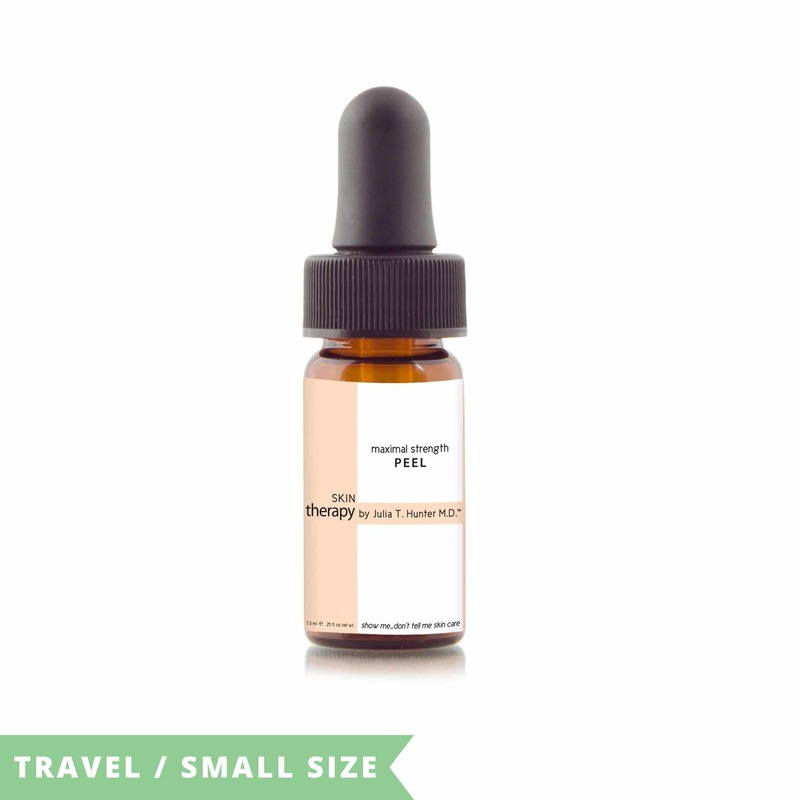 Use 1-6 drops or more, as needed and absorbed, for face, eyelids, neck and chest. Can use on entire body and can mix with body skin nontoxic products. Can mix with all Skin Therapy skin products except Peels and Exfoliants and mix with body lotion for optimizing visible results. IN the AM if skin if quite dry then use generally 1-4 drops mixed in with other AM skin products and in the evening if skin is quite dry use 3-6 drops mixed in with Night Regeneration and other skin products as per instructions on the other products to use AM and PM. 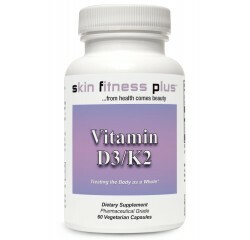 VITAMIN D3/K2 – Vitamin D3 contains strong anti-inflammatory properties which make it effective for treating skin damage and stretch marks, burns, skin injuries. It is WELL documented to help support the decreased risk of many types of cancer, enhance immunity, thyroid and entire body’s cell health and beauty. For optimum results, it is recommended to take 1 bottle of Vitamin D3 and then alternate with 1 bottle of Solray-D Liposome Spray. Instructions: 5,000 IU/pill Directions –Take 1 pill per day if over 120 pounds (54 kg). If 80-120 lbs. 1 pill every other day. If smaller, see your doctor. Children usually take 500-2000 mg. per day. Ask your Pediatrician. If you have blood work drawn (at every age), always get a Vitamin D3 blood level test. SOLRAY D – Vitamins D and K will help to build and renew skin over the top of stretch marks and improve the elasticity of the skin in the area treated. In addition, Vitamin D3/K2 in a liposome spray helps assist in the absorption/direction of calcium and in support of the immune system. It also helps immune, bone and cardiac support. Instructions: 1-10 or more sprays daily or as directed by your physician from bloodwork levels. Swish in mouth for 1 minute then swallow. 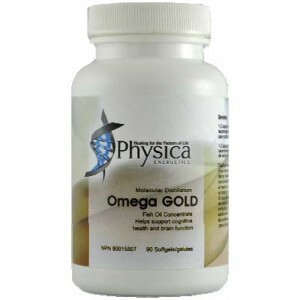 OMEGA GOLD – omega-3 fatty acids will help to minimize inflammation that is associated with damage causing stretch marks and help to moisturize the skin and keep it hydrated and fluid and elastic and help increase collagen and skin component production and help optimize thyroid function so skin and body health is optimized, thus reducing the appearance of stretch marks. The omega-3 fatty acids in fish oil, can also influence your overall health by reducing internal inflammation, a contributing factor in disease risk, as well as decrease high lipids, and is an essential supplement for anti-aging and joint health and also helps stabilize mood for greater happiness and inner peace . Instructions: 1-4 per day depending on the degree of problems you are experiencing and your age. Up to age 40 recommended for general well-being and health, 1 pill per day if less than 55 KG, 1 pill twice a day or 2 together once a day if 55KG or more with no health problems or 3-4 (ideally 2 twice a day AM and anytime PM) if symptoms, stretch marks, or challenges if greater than 55 kg. 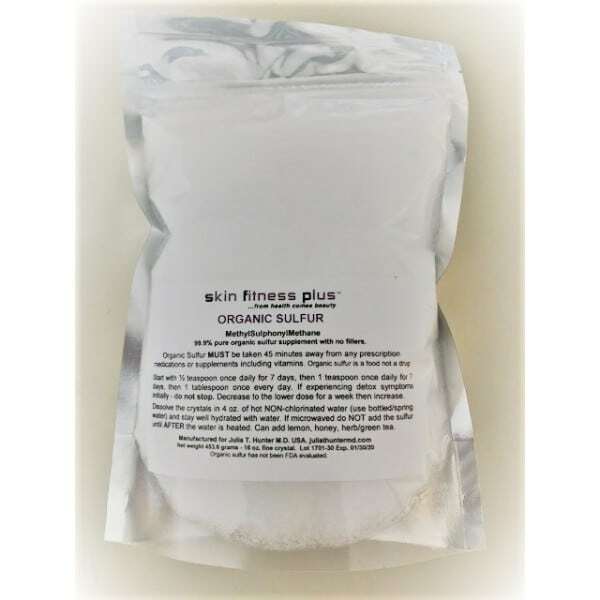 ORGANIC SULFUR – helps even skin tone, diminish hyper-pigmentation and age spots, heal any skin problems by vigorously promoting collagen production in skin, joints, hair, nails and healthy skin cells metabolic function as well as fade age spots and sun damage. It is known for having a brightening and luminizing effect on the skin and over time may also help reduce uneven skin tone and help correct areas of darker pigmentation. 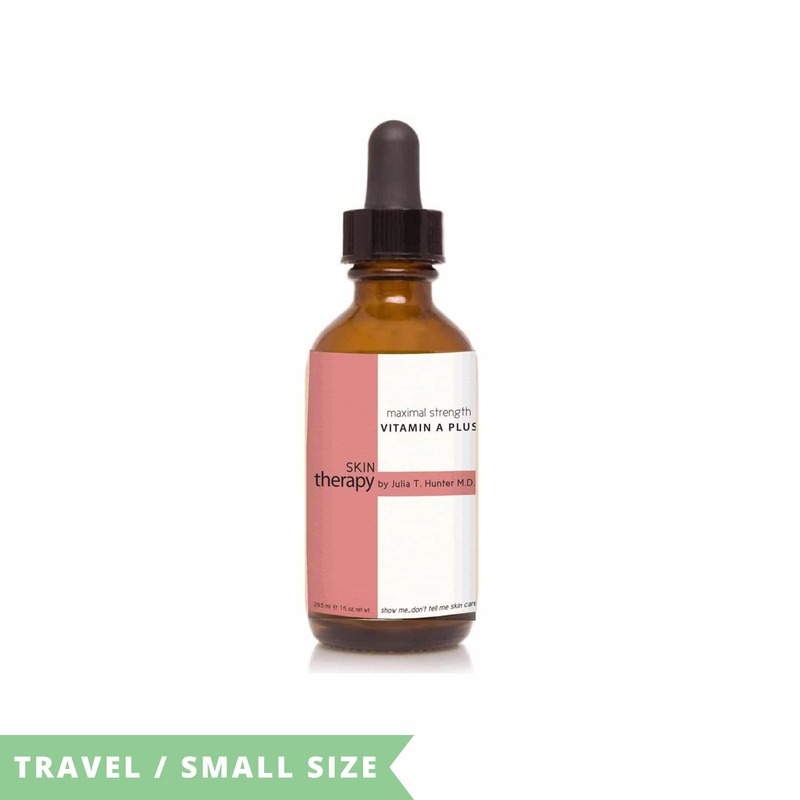 Helps to promote optimizing youthful organ function, thyroid and immune function, energy, clearer thinking, detox, liver cleansing, internal fungal overgrowth, increased sense of well-being, improve skin tone, clarity, anti-aging, texture, pigment and color, the reduction of skin wrinkles, acne and acne facial scars. INSTRUCTIONS: Sulfur should always be taken 30-45 minutes before any prescription medications or nutraceutical products including vitamins. You will start with ½ teaspoon once a day for 7 days, then 1 teaspoon once a day for 7 days, then 1 HEAPING tablespoon once a day. Some people have reported detox symptoms initially. If this occurs decrease to the lower dose for a week before increasing again. Dissolve the crystals in a small amount (4 oz) of warm or hot NON-chlorinated water (best to use bottled/spring in a BOTTLE water) followed by drinking at least a liter of water per day as hydration helps. If a microwave is used to heat the water, do NOT add the sulfur until AFTER the water is heated. Microwaves use temperatures above 400 F and sulfur vaporizes at 270 F. However, heating the water in a microwave is a good way to remove chlorine. If you dislike the flavor, then add into with the ORGANIC SULFUR an herb tea bag or a bit of honey and/or fresh lemon juice and/or Green Tea. This is your step TWO in therapeutic treatment and will be increased for progressively significantly improving over 3 months and to continue to resolve completely. Remember it takes the body one month just to begin responding to giving it what it needs, is missing and wants then another month to begin to see more resolution then another 3 months to progressively diminish and 9 months to 1 year to disappear. CONTINUE as in STEP 1. Evenings ONLY—CONTINUE STEP 1 EVENING PRODUCTS and ADVANCE amount as instructed. IDEALLY, after 4 months on these above in STEP ONE and TWO described skin products, you have a HIGH DOSE STEPS 2 COMBINED WITH STEP 3 RETINOL RESTORATION AND PERFECTING PEELS done on the affected area (s) after dermarolling by one of the SKIN THERAPY VENDORS and CENTERS OF EXCELLENCE as doing this will MUCH improve and advance the disappearance of the stretch marks and tighten and rejuvenate the skin of the area as well. See below for more instructions on technology combined with more peels for catapulting resolution. PLEASE REFER TO THE PROFESSIONAL PEELS PAGE (UNDER SKIN PRODUCTS TAB) WHERE THESE PEELS ARE EXPLAINED. 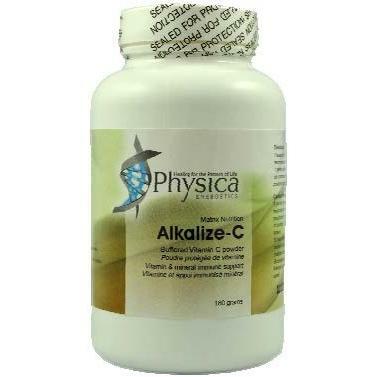 ALKALIZE-C – vitamin C is a powerful antioxidant and anti-inflammatory, shown to reduce the number of sunburned cells as well as help reverse inflammation and age-related damage to skin and the entire body. THIS Alkalize C is 4000 mg per teaspoon and very specially formulated to be able to provide this intravenous equivalent therapeutic amount by mouth and not give you diarrhea. While it’s not a replacement for sunscreen, Vitamin C helps protect against and may repair UV damage like discoloration and fine lines. It is a powerful antioxidant, required for at least 300 metabolic functions in the body. 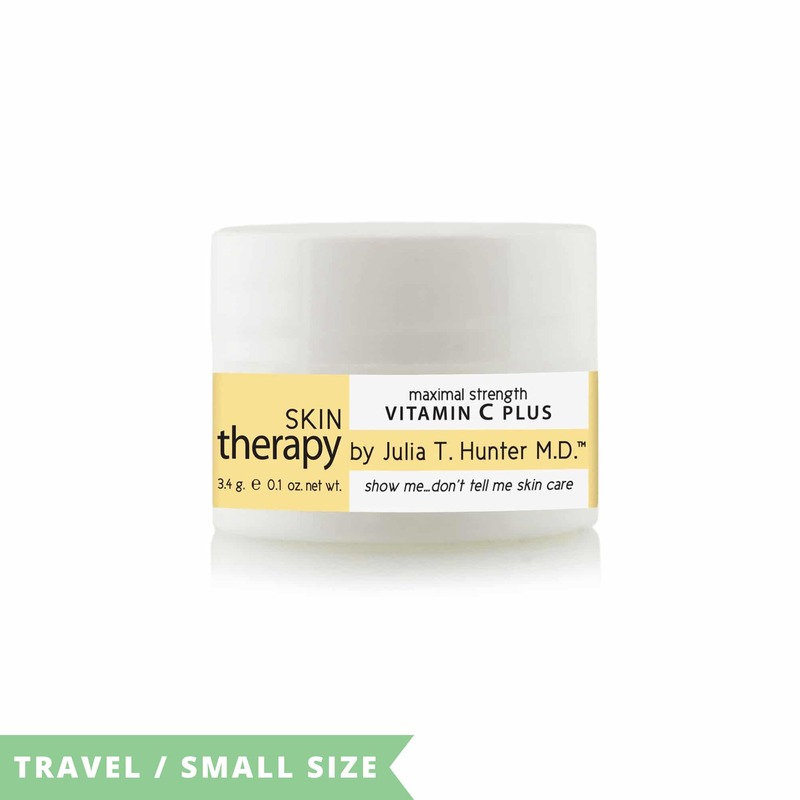 Vitamin C is essential as cofactor in forcing new collagen production in the skin and hair whether for repair especially as in Stretch Marks or antiaging and when present in the body and skin it stimulates the skin and entire body to manufacture new collagen energetically and at a youthful level and as well in the joints and for healthier hair. Instructions: Start with ½ teaspoon once a day in water warm or room temp for 1 week then increase to 1 teaspoon per day for 2 weeks then 1 heaping teaspoon per day or if skin condition is quite bad or inflamed then 1 time TWICE daily in water. NIACEL-250® will help improve mental focus, energy, fatigue and sluggishness. It will healthfully help improve your metabolism and support anti-aging including re-energize the skin and hair growth. The body makes its energy from ATP that is produced by cell mitochondria through reactions in the citric acid (or Krebs) cycle and the electron transport chain. A key component in both processes is nicotinamide adenine dinucleotide (NAD+). 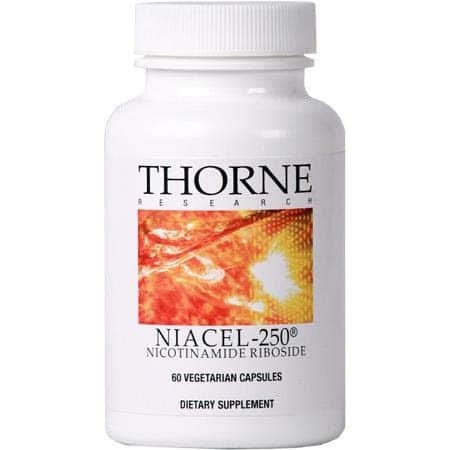 Research has demonstrated that NR, the active ingredient in NIACEL-250, is a direct precursor to NAD+ which improves mitochondrial energetics in the heart and entire body including hair follicles and every cell in the body and boosts production of energy-creating ATP, which provides support for endurance and fatigue and stimulates the metabolism and for skin and hair youthful rate of growth. In addition, NR supports NAD+ which play key roles in healthy aging, cognitive function, weight management, metabolic syndrome, and lipid metabolism in the liver. Instructions: Take 1 capsule one time daily in the morning. It takes a week before you begin to notice an energy boost as takes that long for the mitochondria to be stimulated and they then begin progressively to make new mitochondria as well. .
THYROID SUPPORT – The thyroid produces hormones that control the way your body uses energy. Thyroid hormone is the gas for your body’s EVERY cell. Your thyroid controls your metabolism including in the skin, which is how your body turns food into energy, and also affects your skin repair, hair, nails growth, heart, muscles, bones, brain and cholesterol. 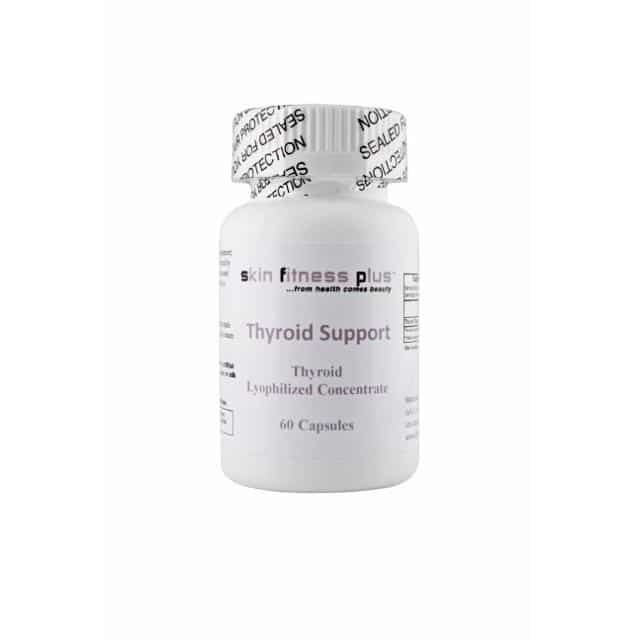 Thyroid Support promotes energy, endurance and assists in weight challenges by normalizing thyroid function. If you are most tired in the AM(morning) then take 1 in the AM. If your energy is good in the morning and you are most tired mid-afternoon, then take BY 2-3 PM – 1 THYROID SUPPORT. If you REMAIN tired in the AM despite 1 THYROID SUPPORT and 2- 3 ADRENAL LIFE FORCE for 1 month of taking, then add 2 THYROID SUPPORT in the AM as long as you are sleeping well when taking this amount and not irritable nor speedy. If you REMAIN tired in the mid-afternoon, DESPITE 1 THYROID SUPPORT and 2-3 ADRENAL LIFE FORCE after 1 month of taking, add 2 THYROID SUPPORT BY 3 PM as long as sleeping well and not irritable nor speedy. The MAXIMUM amount of THYROID SUPPORT that you can take is 2 AM and 2 mid­ afternoon as long as you are sleeping well and not irritable nor speedy. TOO much THYROID SUPPORT and you may be irritable, sweaty, speedy and not sleep well. I prefer ideally to just before I do the first HIGH DOSE RETINOL RESTORATION PLUS PERFECTING PEEL to do FORMA technology by INMODE first if available to you on the affected area then after the FORMA procedure is finished to immediately roll the affected area with the Dermaroller and do the high dose STEP 2 plus STEP 3 peels on the same stretch mark affected area. You can only do the peel on so much area at one time such as both buttocks OR both arms OR the abdomen OR both outer AND inner thighs. Then you wait 6 weeks to 2 months (depending on how old you are as the older the longer you must wait between treatments for the skin to respond fully to the first treatment) after this treatment and you can repeat both again OR you can alternate doing again the PEELS then wait 6-8 weeks and do the FORMA again and also use which is VERY useful for stretch mark repair the CO2 technology under the skin which is excellent as well and if you need to lose fat as well the O2 technology as well under the skin combined with the CO2 technologies. You continue using the products and supplements and you use all of these modalities until the stretch marks have disappeared from repairing and filling in as much as your body allows. Sometimes just the skin products and supplements are enough, but you HAVE to use these in order to IF you need peels and technology to get the best result from them otherwise you get 50% of the result of the peels and technology. The high dose peels if I have to choose are my second choice as they are SO STRONG AND SO effective. Combining them with technology will provide you a VERY IMPROVED body and stretch mark resolution and the best resolution you can achieve. FROM HEALTH COMES BEAUTY ALWAYS!